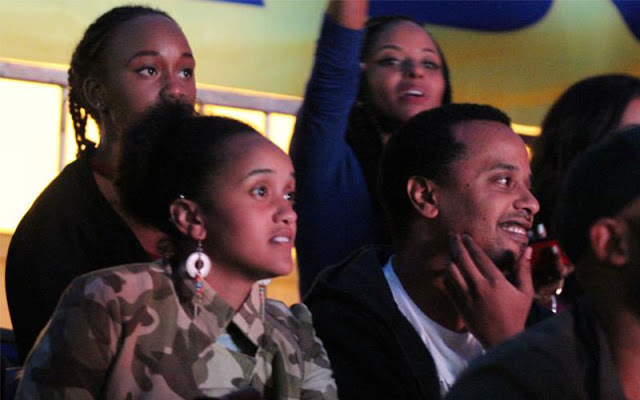 PresidentUhuru’s elder son, Jomo, was spotted sampling the Nairobi night life with his sister Ngina. With a security team driving behind him, Jomo Drove to the Kenyatta International Convention Centre (KICC) in the company of sister Ngina where they mingled with football fans watching the 2018 FIFA World Cup at the iconic building where an artificial arena has been set up. Jomo Looked Cheerful anddidn’t mind posing for photos with other football enthusiasts. Their cousin Nana Gecaga is the CEO of KICC And Perhaps that’s why they felt so at home throughout. Source The Kenyan DAILY POST.